SmartphoneRecycling.com is the bulk recycling program of of GRC Wireless. Through SmartphoneRecycling.com, organizations, consumers, schools, and more can earn money through cell phone & smartphone recycling. 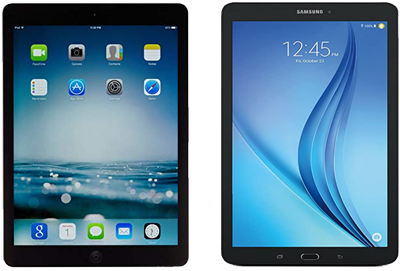 We also accept iPads & iPods. As a recycling fundraiser for schools, organizations and nonprofits that collect cell phones from their community in the name of fundraising. As a recycling program for businesses, consumers, and organizations that want to sell their smartphones and cell phones in bulk, with minimal effort. While both programs are functionally the same, as we pay cash for cell phones & smartphones, the process is different. With SmartphoneTradeIn.com, you search for the specific phone models, print a packing slip, and ship to us. The price is locked for 30 days. With SmartphoneRecycling.com, a user does not need to know the phone models. You will not need to generate a packing slip. We send you a recycling kit, you ship the phones, and we pay you. While we list the current pricing at SmartphoneRecycling.com, the final price will be assigned when we process your phones. Purpose Bulk cell phone & smartphone recycling – for large lots of phones. “Trade-in for cash” program, where consumers & businesses want to sell their smartphones for cash. Price Lock? No, as no packing slip is generated. Yes, as a packing slip is generated, assigned to an order number. Is all shipping free? Yes. Yes. Phones accepted All cell phones & smartphones Approximately 400 models. Pricing We pay top dollar, up to $350 per smartphone. Both programs have the same pricing. We pay top dollar, up to $350 per smartphone. Both programs have the same pricing. Payment for all phones? Yes. Minimum is $.20 for the oldest phones No. We purchase about 400 models. Pricing for Damaged Phones We have 2 levels of “damaged” pricing. If the phone is functional but has excessive cosmetic damage, you will receive the “lower condition” price, which is listed on our pricing page. 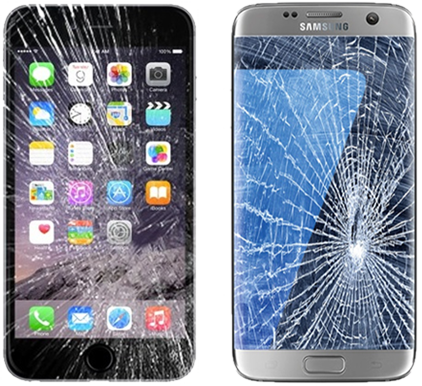 If the phone is functionally damaged, you will receive about 10% of our regular price. Damaged pricing may fluctuate based on a variety of conditions. The damaged price is listed on SmartphoneTradeIn.com. HOW MUCH DOES SmartphoneRecycling.com PAY PER PHONE? Our current pricing is listed here. Smartphones can earn up to $350 per phone. Older cell phones generally earn between $.20 and $2.00, depending on make and model. Please note: With SmartphoneRecycling.com, pricing may change at any time without notice. DOES SmartphoneRecycling.com PAY FOR ALL ITEMS? Yes. We pay a minimum of $.20 for all phones, iPads, and iPods, regardless of age or condition. Register Online, or call us at 800-203-1506. HOW LONG BEFORE WE GET A CHECK? SmartphoneRecycling.com will mail a check within two weeks of processing your shipment. You are always welcome to call or e-mail to learn about the status of your shipment. IS THERE A MINIMUM VALUE NEEDED TO RECEIVE A CHECK? This program is designed for collecting and recycling smartphones, where the value can be very high. We will only issue payment for shipments valued at $15 and higher. Any shipment with a value less than $15 will remain “on account”, and a check will be mailed when your balance exceeds $15. DO YOU SEND ME AN ITEMIZED BREAKDOWN FOR EACH SHIPMENT? SmartphoneRecycling.com will include a complete and detailed itemized breakdown of all phones received in a particular shipment. This will include model, quantity, amount paid, and total. Our accountability to you and your organization for each and every donated phone is of utmost importance to our organization. HOW DOES SmartphoneRecycling.com PROCESS CELL PHONES & SMARTPHONES? SmartphoneRecycling.com processes phones through an environmentally responsible zero landfill process. Click here to learn more about our Environmental Policy. SmartphoneRecycling.com pays for all shipping costs. You will receive a recycling kit, which includes FedEx “free shipping” PRP labels & shipping instructions. IS THERE A MINIMUM QUANTITY TO SHIP? We ask that you ship a minimum of 20 items per box. Please remember that this is a bulk recycling program, so the more items you collect, the more you will earn! DO YOU PROVIDE “COLLECTION” BOXES? COLLECTION BOXES LEAD TO THEFT WHEN ON DISPLAY: Based on our experience and participant feedback, publicly displayed collection boxes lead to lost or stolen items. COLLECTION BOXES LEAD TO THEFT DURING SHIPMENT: Based on our experience, decorative boxes that indicate “cell phone collection” will lead to theft during shipment. Why? It is obvious there are items of value inside the box. NEW COLLECTION BOXES VIOLATE OUR ENVIRONMENTAL POLICY: Our dedication to the environment extends to all aspects of our business, including the use of collection boxes. With millions of boxes already available for shipping, it would be irresponsible to produce new boxes for this purpose. The “re-use” of boxes is essential to the preservation of our forests. We suggest that you use any type of sturdy cardboard box for shipping, such as readily available “copy paper” boxes. Additionally, be sure to place your collection box behind a counter or desk (for security purposes), and publicize your collection with our beautiful posters. If your phone does not have an internal battery, please attach the battery to the phone. If your phone has a “battery cover”, please attach to the item. If the battery is unavailable, we will accept the phone by itself. DO YOU TAKE OTHER ACCESSORIES (TRANSFORMERS, CHARGING BASES, ETC.)? As a general rule, we do not accept transformers, charging bases, cigarette plugs, earpieces, or manuals. Our company focus is on device and battery recycling. HOW OFTEN CAN WE SHIP? The program is ongoing, so you can collect and ship year round! IS THE PERSONAL DATA ERASED FROM THE ITEMS? The information below explains our approach to personal data in cell phones, iPads, and iPods. For many models, SmartphoneRecycling.com performs the data erasing at the SmartphoneRecycling.com facility. We use software, manufacturer codes, and manual resets to erase personal data. For some models, the data is erased by refurbishment companies (either SmartphoneRecycling.com customers or independent refurbishers). Items that cannot be turned on or have a broken screen are sold to independent refurbishers who will perform the data erasure procedure when applicable. Items without “re-use” value are shredded during our metals refining process. The personal data is erased through the destruction of the item. We recommend that anyone with concern about personal data should erase the item’s memory before donating. For most models, data erasing is a simple process, commonly found in the setup menu. Data erasing instructions can also be found in the user manual. Feel free to email us at info@grcwireless.com .com or call 800-203-1506 if you have any questions. While we have internal policies in place to address personal data in items, we will not be responsible for any information left stored in the memories of phones, iPads and iPods. SHOULD I DEACTIVATE THE SERVICE ON THE CELL PHONES & SMARTPHONES? Yes, be sure to deactivate your cell phone service prior to shipping your phones. We will not be responsible for any airtime charges resulting from phones that were not deactivated. ARE THERE ANY MEMBERSHIPS FEES OR OBLIGATIONS? No. There are no membership fees, forms, obligations, or time limits.